When teaching inexperienced clients to surf it is always smart to keep safety a number one priority out in the ocean. Surf School Insurance is also a top priority and we can provide insurance for surf camps, surf events and surf instructors. There are many things to consider when buying surf school insurance. As a surfer myself, I cannot tell you the number of times I have seen some crazy things happen in the waves of California and Hawaii. It’s best to be safe and not sorry. Oh, please don’t buy insurance from the guy who insures your VW Van, he does not have the expertise to protect you against the kinds of problems you can face out there on the waves. If surfing is your passion, then you have come to the right place. Let me help you with the kind of insurance that will protect you and your future. There are a few items to consider including but not limited to your equipment, liability, negligence and of course, you better lawyer up and get the best liability waiver form for you clients to sign. If you are doing a camp, I suggest getting this hot linked on your website to make sure all surfers have it before they show up. Don’t forget to check your surfing equipment, does it have a warranty? Does it come with insurance? 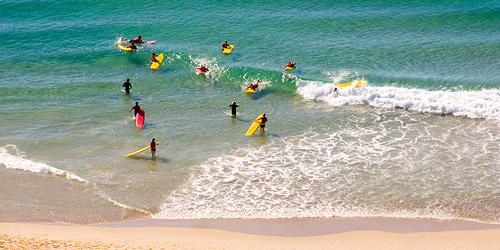 We can look at multiple ways to insure your surf school even if you have prior claims. Its like auto insurance for your bike. Spoke Bicycle Insurance is the first of its kind; a comprehensive stand-alone bike insurance program available to individual bicycle riders in the USA. Policies include bicycle theft and damage, liability coverage and compensation in the event of accidents with uninsured or hit and run drivers. Spoke Bicycle Insurance even offers road-side assistance in case of breakdowns.